Clinical Significance: Fibrinogen is essential for the formation of a blood clot. Deficiency can produce mile to severe bleeding disorders. 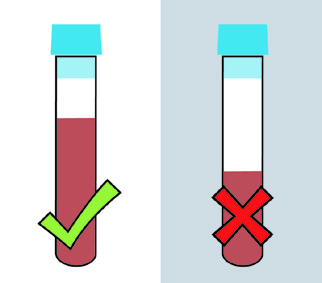 Instructions: a completely filled tube is necessary because the correct ratio of blood to citrate is critical (9:1). Mix by gentle inversion 5-10 times. Do not uncap. Minimum Volume Ratio of blood to citrate is critical.